Selecting the correct type of spray foam insulation for improving air tightness insulation within a structure is an important decision as some sprayfoam insulation methods are more effective than others. 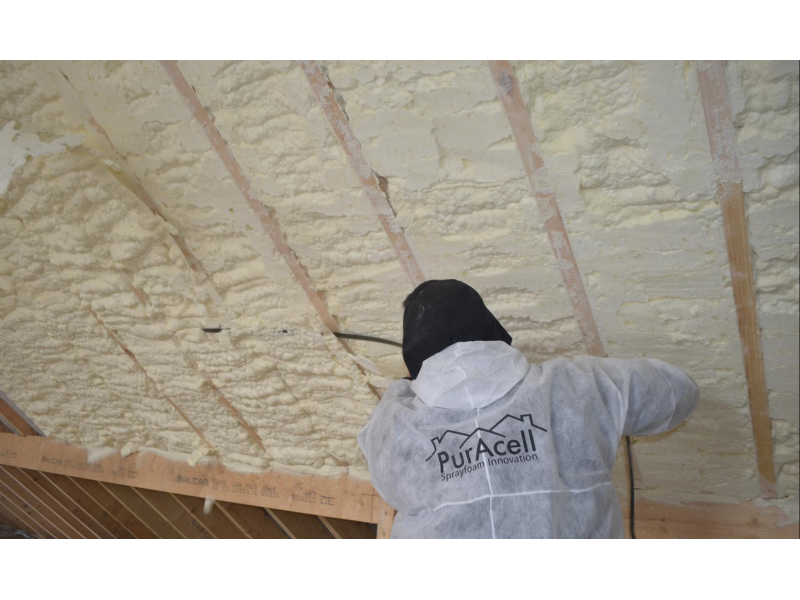 The Air Tightness Sprayfoam Insulation System from Puracell are most suitable for a many reasons. Unlike most other forms of insulation Sprayfoam is a tried and proven methodology for achieving the maximum level of air tightness and this has been proven through many door blower tests throughout Ireland, the U.K and United States. Sprayed on any surface, our sprayfoam insulation expands rapidly from its liquid state and perfectly seals each gap or crevice ensuring the perfect custom air tight seal, providing a heat loss barrier and ensuring your property meets the highest standards in heat retention and u-value. Here at Puracell Sprayfoam Insulations, we supply sprayfoam insulation solutions for air tightness that is easy to install and effective to control air tightness. 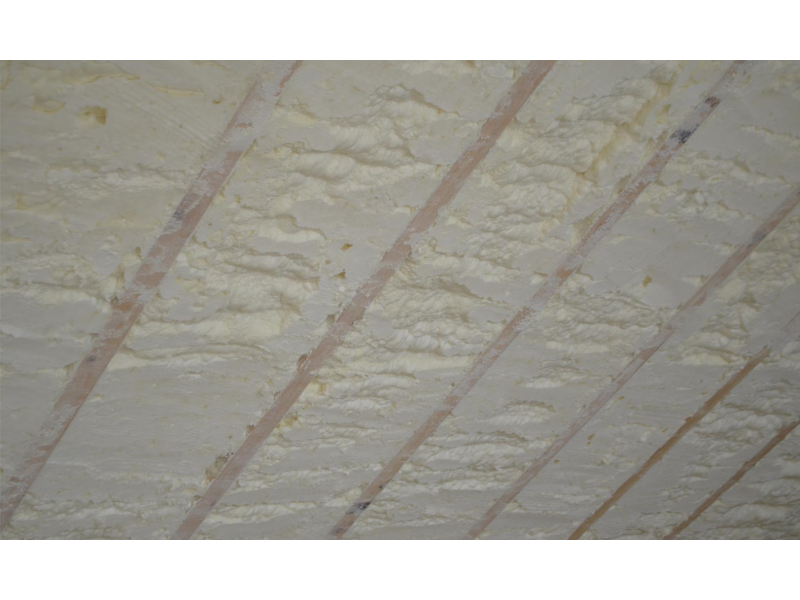 Our sprayfoam air tightness insulation expands when applied to 100 times its application and seals even the most difficult cracks and crevices. It can be used in any air tightness application area from roof, to attic, to internal and external walls, to flooring and in any building big or small. 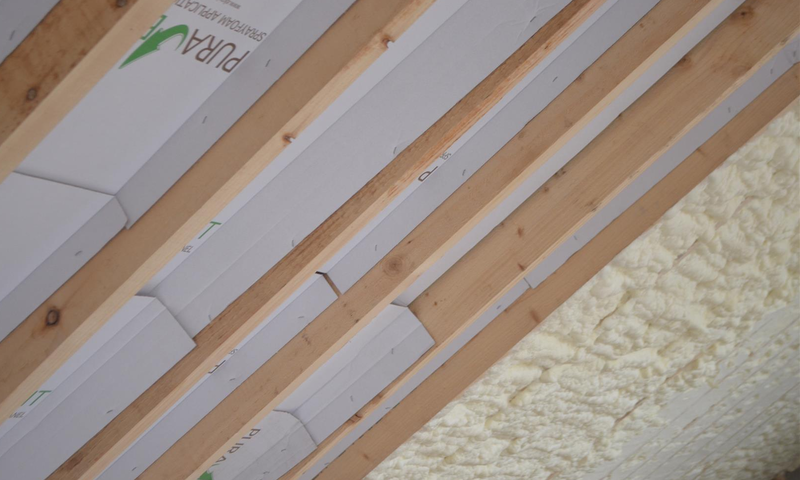 With our open cell and closed cell solutions, your building will be perfectly sealed off for air tightness and protected against the elements with PurAcell Sprayfoam Insulation. Knowing the product carries the coveted C.E mark together with NSAI Certification gives you peace of mind that you are using a tried , tested and certified product. 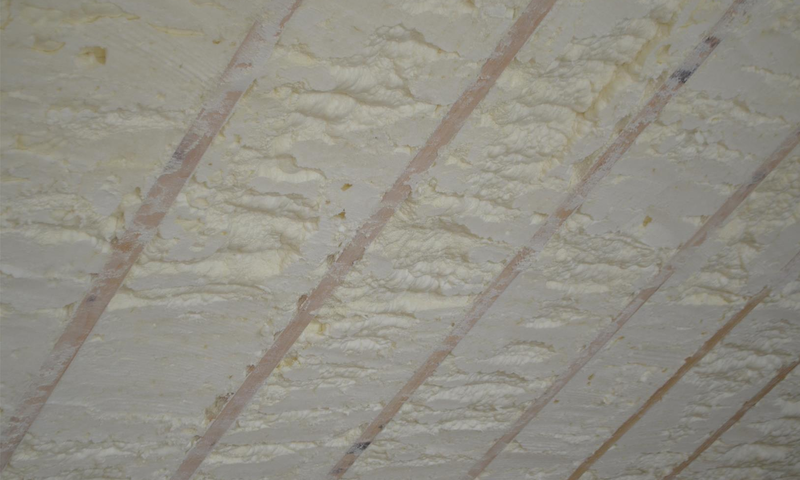 Why risk using inferior products such as insulation boards and fibres when you can install Sprayfoam at a similar cost and in a fraction of the application time. ? 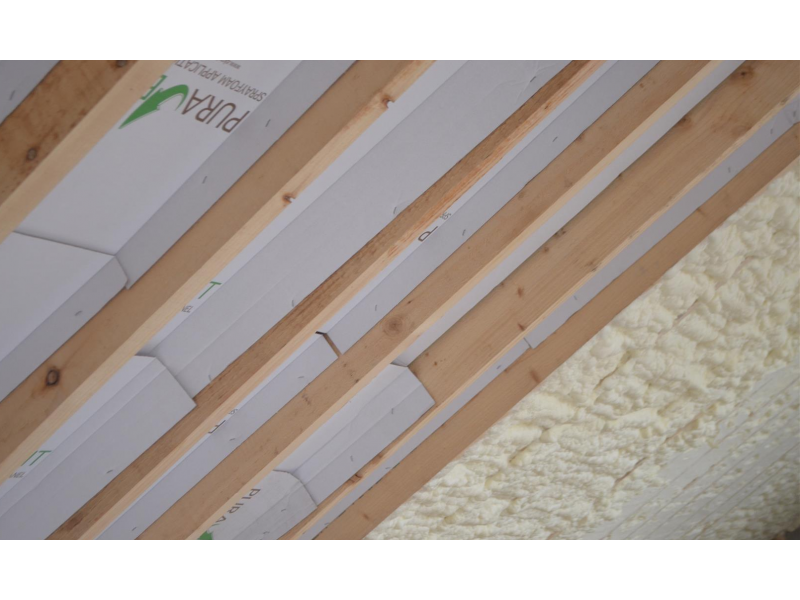 Every sprayfoam application is a custom made seal fitted between studs / rafters / joists or directly onto flat surfaces. This provides a comfortable air tight environment for your home, office, hotel, boat or even shed. Have your utility bills slashed by the sheer effectiveness of our air tight sprayfoam solution, no other product in the insulation family comes near sprayfoam for value , ease of application and resulting u-values. 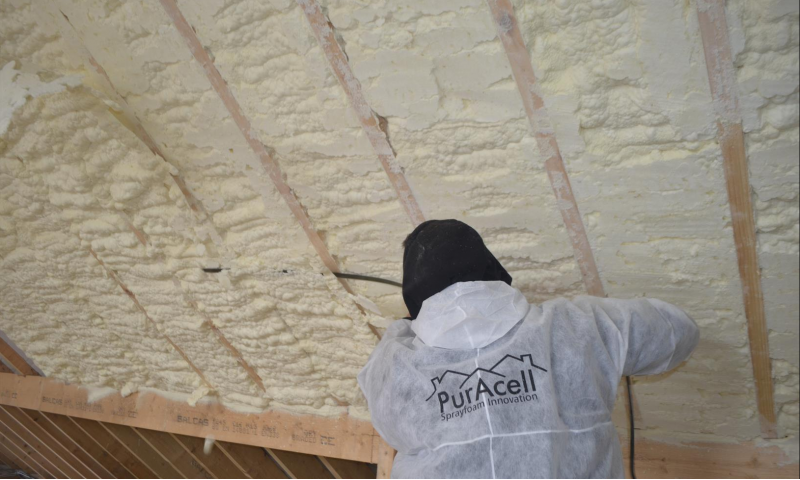 Not alone is our sprayfoam insulation air tight but it provides the very best insulation qualities in the industry so for your next project insist on sprayfoam , insist on PurAcell.